This is the basic textbook of the series. It covers the basic principles and components that make up fluid power. This is an excellent textbook for home study or class room use. 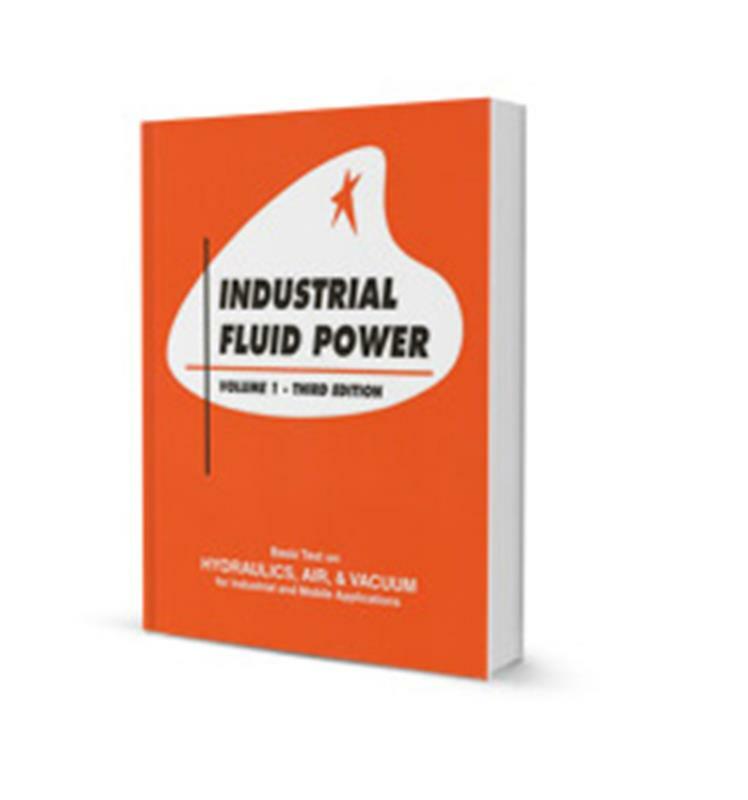 It has been accepted as a training manual by the (NFPA) National Fluid Power Association and the (FPS) Fluid Power Society, and has been adopted by the (FPDA) Fluid Power Distributors Association as their official training manual to accompany their audio cassette program for training members of the Association. Six chapters of study text with practice problems and review questions. A 48-page appendix includes design data charts, troubleshooting, design calculations, metric conversions and metric design information. The first of a 3-volume series for teaching hydraulics, air, and vacuum, not as a scientific study, but the way it is actually used out in the field. In this book, we have covered basic principles and components along with simple circuitry. You will find many charts of design data at the back of the book. When you have completed this study, you will want to continue your learning with more advanced material in Volumes II and III. A Spanish translation of this textbook is also available.